Discussion in 'China & Far East' started by Galactic Penguin SST, Sep 22, 2017. 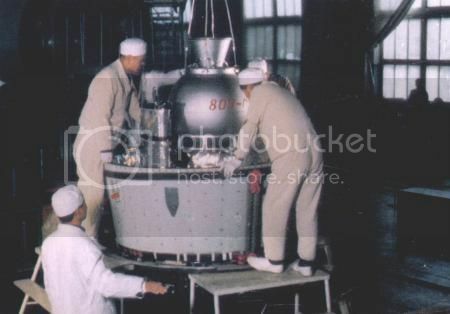 ▲ From left to right, started in 1967, the Chinese "Project 714" Shuguang-1 ("曙光一号") manned space capsule scaled model, spacesuit and life supporting system. 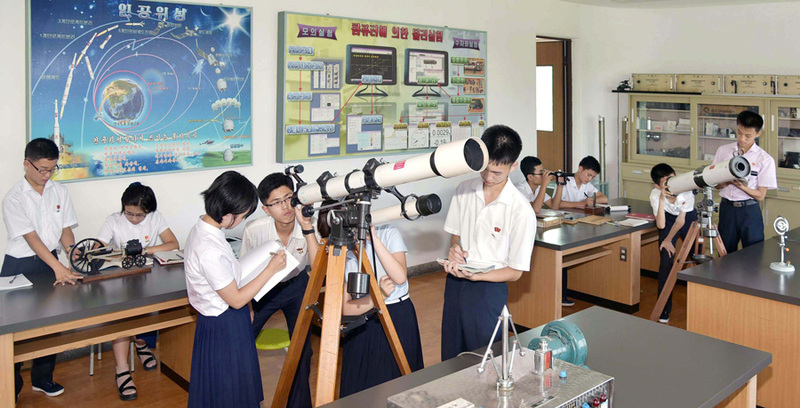 Juche 106 (Aug. 8, 2017), first official depiction of a future North Korean recoverable capsule, from a poster of the Pyonyang 1st Junior High School. The same poster was only partially visible in a previous 16 October 2015 photo. 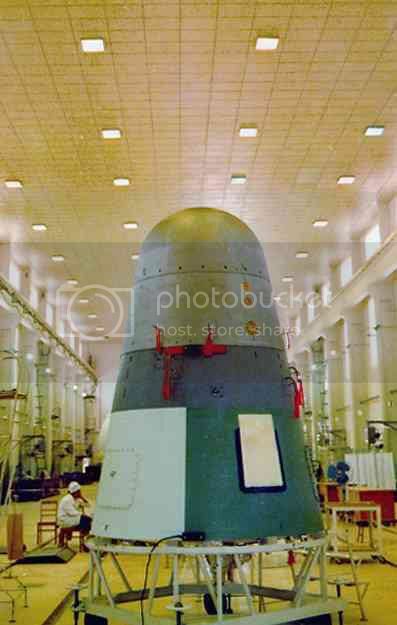 The capsule seems similar in shape to the Chinese Shijian. The mission seems also similar to the Chinese Chang'e 5 T-1 precursor, where a downscaled Shenzhou reentry capsule was attached to a Chang'e lunar orbiter satellite. The launcher is a 3 stages Unha, and the capsule is separated from its Kwangmyongsong satellite carrier at the end of its orbital mission. The main parachute is deployed before 4 visible retrorockets are fired just before landing on land. 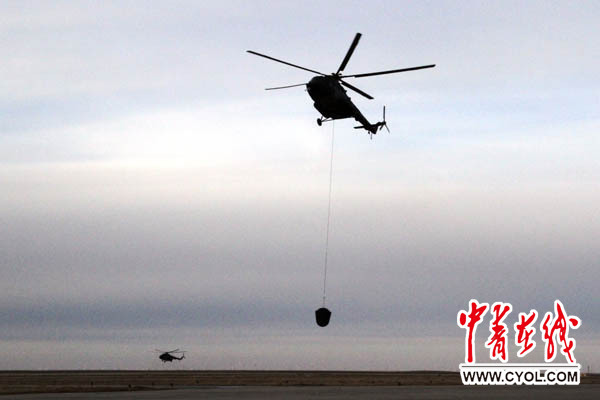 A Mi-8 helicopter is used to locate and retrieve the capsule. The launch seems to be from one coast, thus Sohae SLC, while the landing zone is in the opposite shore, seemingly the East coast.